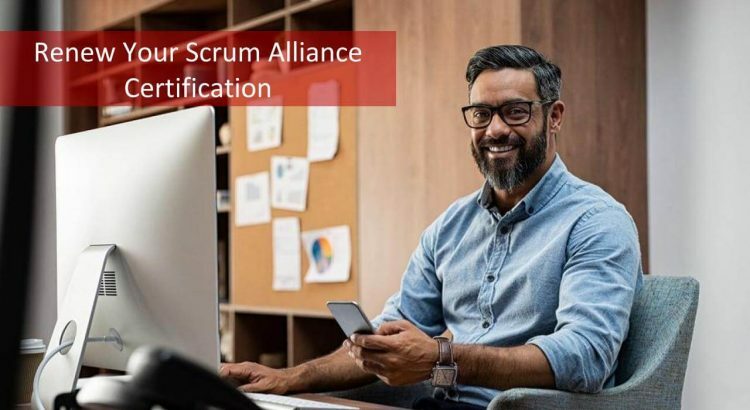 Scrum Alliance® changed the Scrum SEU requirements to renew Scrum Certification in 2019. Previously, only professional level (CSP-SM, CSP-PO or CSP) Scrum certification owners were required to earn 40 Scrum SEU points to renew their Scrum Alliance certification. However, starting from Feb 4th, 2019, Scrum Alliance changed the Scrum SEU policy. 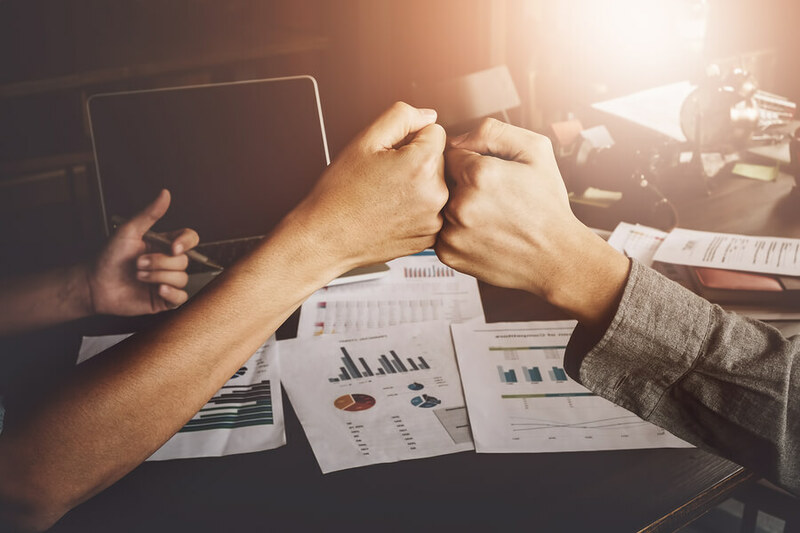 New Scrum Alliance Certification Renewal policy requires foundational level (CSM®, CSPO®, or CSD®) and advanced level (A-CSM or A-CSPO) certification owners to earn Scrum SEU credits as well to renew their Scrum certification. 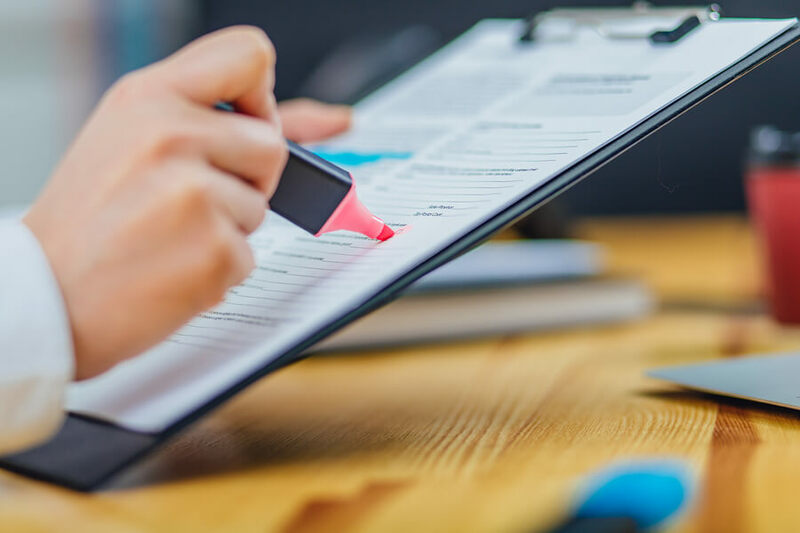 In this post, we will drill down into details of Scrum SEU requirements and how you can earn Scrum SEU points to renew your certification easily. 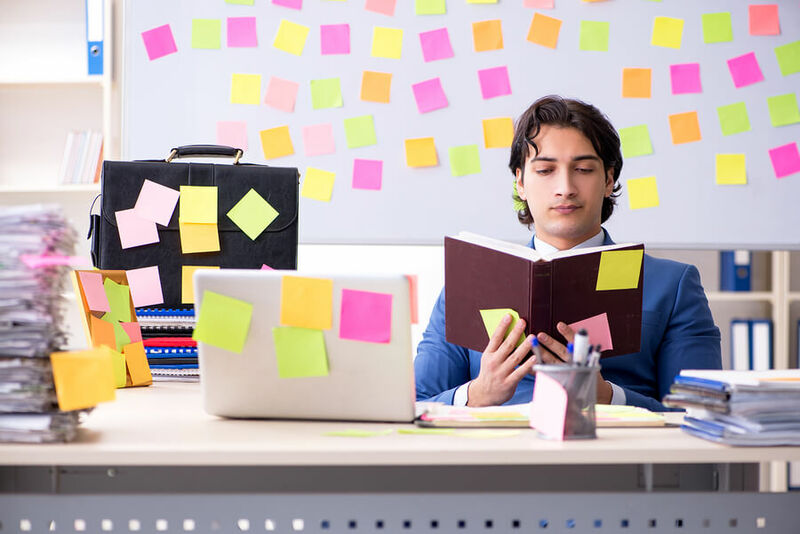 Before diving into Scrum SEU details, it is better to stress why maintaining Scrum certification is crucial and why Scrum Alliance is the ultimate authority in Scrum certification. Following are the headlines of this post regarding Scrum Alliance Certification renewal. You can jump on to any specific Scrum SEU headline if you wish. Why should I renew my Scrum Alliance Certification? What is the value of a Scrum SEU? How many Scrum SEUs should I earn? What are the categories of Scrum SEUs? What is the Scrum Alliance? Scrum Alliance is an organization that always focuses on training and certification since its foundation in 2001. It is currently the world’s largest Agile organization with more than 725,000 certified practitioners. Scrum Alliance aims to “transform the business world into a happy and sustainable form”. Hence, it fulfills this vision by guiding, inspiring and enabling individuals and organizations with best practices and principles. Also, they support the organizations in agile transformation and they provide certificate programs for individuals to meet their career needs. In a company, who will promote the agile values, principles, and practices, and provide continuous support for agile transformation? The answer is “Agile Practitioners”. In a competitive job market, every small advantage you have can be very important. Scrum Alliance certifications are the most widespread agile certifications and can make this difference. For this reason, the certificate-holding Agile Practitioners are one step ahead of other professionals. Agile certification owners such as PMI-ACP or CSM are considered as Agile Practitioners as well. What are the benefits of Scrum Alliance certifications? 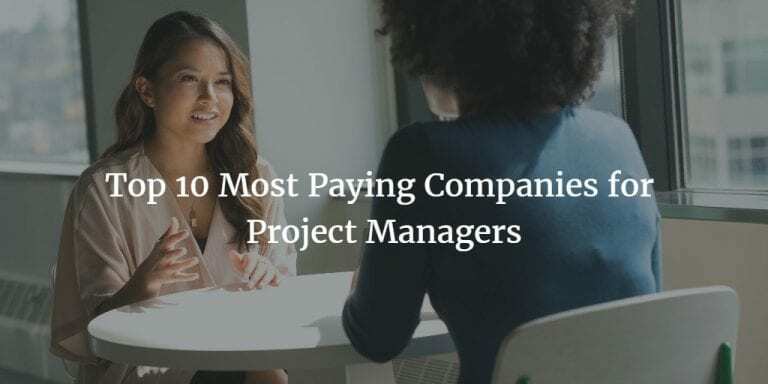 Companies across the globe are always looking for more competent project managers to manage their projects with a high success rate. That’s why they are looking for people who have accredited certificate as proof of their mastery in project management skills. Agile certification is not limited to one technique. It covers a variety of Agile approaches like Scrum, FDD, Kanban, Crystal, etc. 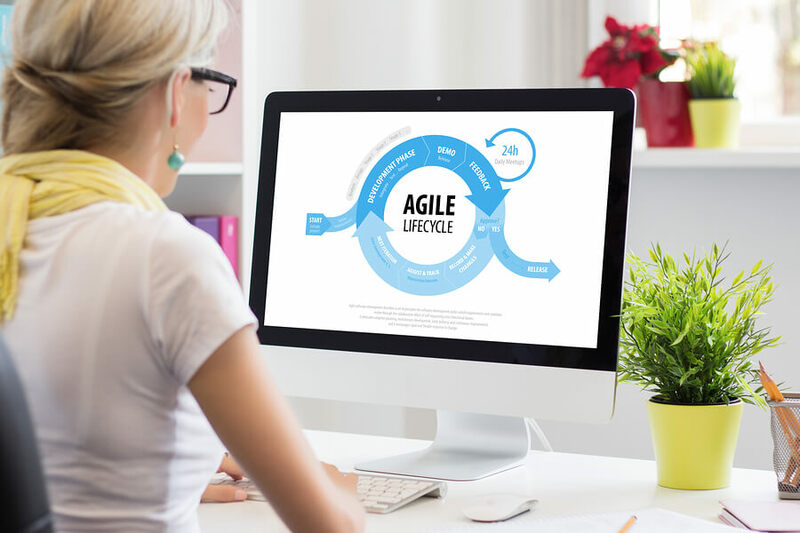 In other words, this certification enables agile practitioners to work with an agile approach that is most applicable in their work. The agile certification helps project leaders showcase their skills to their current employers and catch any future opportunities. Consequently having this certification means that the owner of the certificate has the basic skills and experience of Agile methodologies. Many companies around the world are adopting Agile methodology instead of traditional methods. This certification program seeks to explore new applications for dynamic project management. It also helps people understand agile principles and procedures that can improve the team’s work and, ultimately, ensure better performance. The Agile methodology helps people working in the industry to change their minds and perspectives as project leaders and contemporaries. So, Agile training and certification help improve the appearance of team members, reducing inconsistencies, promoting a healthy team organization and richer projects. A company with Agile Certified Experts can earn more projects and finish successfully. Thus potential customers will be able to demonstrate the true value of a team that can effectively tap and utilize Agile techniques. An Agile Certified Professional will gain more respect and honor in the industry than non-certified professionals. In addition, if an employer or management team trains and certifies its staff, it will be a valuable investment with long-term benefits. Just above section, we listed the benefits of Scrum Alliance certifications. If you are a certificate holder, you may easily get used to these benefits and you may mistakenly assume these benefits will always be there. 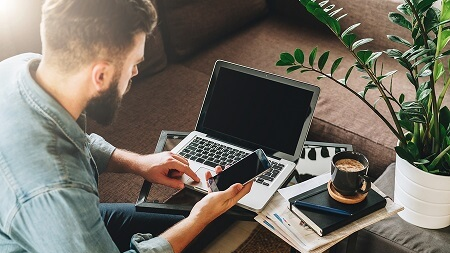 If your certification expires, you will need to retake the exam and probably you will remember how hard you’ve worked for the certification exam. So, do not let your certificate slip out of your hands! Differentiate your skills, knowledge, and skills from others in your area by getting approval from the largest, most rooted and most influential Agile certification body. Open the door to opportunities for career development and the potential for revenue growth. Continue to receive more advanced certifications. Send digital badges to promote your achievements. The valid certificate makes you competitive in the market. It will strengthen your connections to the community and expand your support network. One of the best ways to make new friends and strengthen existing relationships. It exposes you to people with common interests and people with fun and useful activities. Many volunteer opportunities offer in-depth training. It gives you the opportunity to practice and develop your social skills. It brings pleasure and satisfaction to your life. Among all age groups, experience levels, number of certificates and roles, Scrum professionals have an annual average of $ 100,500. In addition, 55% saw their annual base salaries increase from 2016 to 2017. 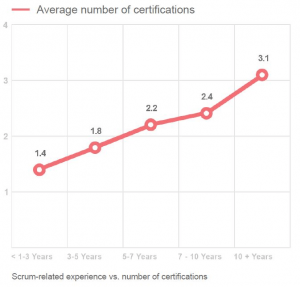 The data indicates a career trajectory accumulated in Scrum: age, years of experience and number of certificates are increasing. With growing Scrum experience, professionals shift to higher salary-paying coaching roles than the average salaries for the Scrum Master and Product Owner roles. Similarly, young Scrum professionals are more likely to play the roles of team members. As practitioners have more years of experience, they are more likely to increase their certificate portfolios. 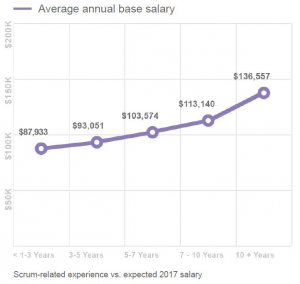 Similarly, as the years of Scrum experience increase, the average annual base salary increases. 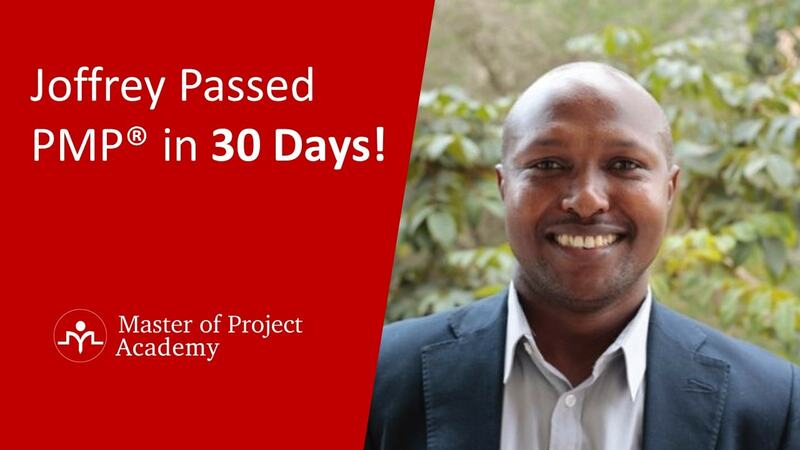 Once you have taken a Scrum Alliance certification, your certificate will be active for a period of 2 years. However, during these two years, you must renew your certificate to maintain your certified status. Earlier, you had to pay a renewal fee once in just 2 years. Scrum Alliance decided a major change in renewal conditions and stated that a high percentage of Scrum Alliance surveyed community has expressed a continuing education component would add value and thus ensure that certificate holders are aware of the latest developments and skills related to Agile and Scrum. As learning is essential for people, Scrum Education Units (SEUs) serve for this purpose. Individuals must now complete a number of Scrum Education Units (SEUs) as they must pay a renewal fee every 2 years. To verify your engagement and your mastery of the basic principles and practices of Scrum, you must take part in a training or learning opportunity to obtain Scrum Education Units (SEUs). Earning SEUs keeps your information up to date and thus it is the only way to keep your certificate valid. All SUEs used for renewal should be received within the last two (2) years. For example, if your certificate ends on 02/21/2021, your SEUs must be acquired between 02/21/2019 and 02/21/2021. SEUs are required to renew your foundation, advanced and professional level certificates. This includes CSM, CSPO, CSD, A-CSM, A-CSPO, CSP-SM, CSP-PO and CSP. As learning is the most important part of your Agile journey and SEU is a simple measurement tool to prove this. Volunteer to an agile community. Join a local user group. Join a Global / Regional Scrum Gathering. Write a blog about Scrum / Agile. Read a book about Scrum / Agile. Many training activities like reading books, participating in mentoring or training sessions, watching webinars and volunteering are valid activities to earn SEU. Examples on how to earn SEUs and SEU categories will be detailed in “Scrum Renewal Step #2”. So, in this section, we will explain the Scrum Alliance Certification Types, Scrum Education Unit (SEU) and its usage limitations, based on your certification how many SEUs will be required and etc. The Scrum Alliance training and certificates offer unlimited ways as a Scrum and Agile practitioner. 3 tracks and 8 certificates are available for Scrum Team Role. The Guide Level certifications –Certified Team Coach (CTC), Certified Enterprise Coach (CEC), Certified Scrum Trainer (CST)- and Agile Leadership certifications -Certified Agile Leadership I (CAL I), Certified Agile Leadership II (CAL II)- are out of our scope for this article. Certified ScrumMaster (CSM): An introductory course for those who want to play the role of Scrum Master or Scrum team member. Advanced Certified ScrumMaster (A-CSM): An advanced course for Scrum Masters with at least one year’s experience in this field. Certified Scrum Professional-ScrumMaster (CSP-SM): Pinnacle Course for experts who want to improve the mastery of the Scrum Master Track. Certified Scrum Product Owner (CSPO): Intro course for those who are closest to the “business side” of the project. Advanced Certified Scrum Product Owner (A-CSPO): An advanced course for Product Owners who already have one year of experience on a Scrum team. Certified Scrum Professional-Product Owner (CSP-PO): Pinnacle course for experts who want to improve the mastery of the Product Owner track. Certified Scrum Developer (CSD): Intro course for software developers (programmers) who are building software in a Scrum environment. Certified Scrum Professional (CSP): Pinnacle Course for development experts who are building software in a Scrum environment. A Scrum Education Unit (SEU) is a credit collected by completing an education that meets a set of defined learning objectives. Scrum Alliance considers factors such as the content, quality, and accuracy of the material to determine if the SEU is warranted. An SEU is based on a 1: 1 contact time rate where one hour of participation or preparation equals 1 SEU. In other words, a full day of training is equal to a maximum of eight (8) SEUs. For example, if you join a Scrum Gathering and participate in three days, you will earn a maximum of 24 SEUs. Likewise, participation in a one-hour webinar equals one (1) SEU. These Scrum Alliance certification types listed in the table belong to the Scrum Team Role. There are 3 levels (foundational, advanced and professional) and 3 tracks (Scrum Master, Product Owner, Developer) of Scrum Team Roles. Developer track has only 2 certificates where Scrum Master track and Product Owner track has 3 certificates for each. Foundational level certificates; Certified ScrumMaster (CSM), Certified Scrum Product Owner (CSPO) and Certified Scrum Developer (CSD); require 20 SEUs and $100 in a 2-year term to keep your certificate valid. Advanced level certificates, Certified ScrumMaster (A-CSM) and Scrum Product Owner (A-CSPO), require 30 SEUs and $175 in a 2-year term to keep the certification valid. Professional level certificates; Professional-ScrumMaster (CSP-SM), Scrum Professional-Product Owner (CSP-PO) and Certified Scrum Professional (CSP); require 40 SEUs and $250 in a 2-year term to maintain the validation of the certificate. Please visit our SEU page for more information on the six (6) subcategories you can select when selecting SEU. SEU follows a 1:1 balance; where one hour of participation or preparation matches 1 SEU. For example, if you have received a 10-hour training course, you must enter 10 SEUs in the ongoing training opportunity. Note: Paid work experience or Scrum services are not eligible for an SEU. In addition to the renewal fees, you can maintain your certification for a further two years by sending a predetermined number of Scrum Training Units (SEUs). If you have more than one certificate, you can use the “Renew Certificates” link in the certificate panel to calculate the required SEUs and the total amount of your renewal payment. Under “My credentials,” click the gray “Manage SEUs” button. Select your SEU category from the drop-down menu under Birim Enter Scrum Training Unit SE. Please visit our SEU page to help you choose the appropriate category for your SEU submission. Please note that your SEUs must be earned during the renewal period (within two years from the expiry date of your certificate). You cannot reuse an SEU if it has already been submitted. SEUs are divided into 6 different categories. Every 2 years, you need to collect the required 20, 30 or 40 SEUs to maintain your certification. Presentation, coaching, and participation are considered appropriate activities for the SEU. Scrum Alliance accepts hallway discussions at Scrum meetings. You can earn up to eight (8) ESU per day. Get continuous training in advanced Scrum issues. Get CST training such as webinars, recorded training, online or face-to-face training (eg CAL I, A-CSM, A-CSPO, Scrum @ Scale, etc.). Participate in individual or small group coaching provided by a CEC or CTC. Scrum Alliance encourages you to give back to the community. You can earn SEUs by offering free professional Scrum services. You will need to confirm that you did not receive any payment for your volunteer work. You can earn SEUs in a variety of independent learning activities, including creating related books, presentations, articles or blogs; watching a related video tutorial or reading related books. For each activity, you should be able to explain the Scrum related benefits to you. Volunteered for training for non-profit organizations (category D). Researched and prepared educational materials (category E). A co-educator, learning from a more experienced trainer (category F). When all required SEUs are submitted, it is time to renew the Scrum certificates. Finally, the renewal fee can be paid and a request can be made for renewal. Subsequently, the Scrum Alliance will validate the Scrum SEU scores and the activities they offer. If the reported activities comply with the Scrum SEU requirements, then the request will be approved and thus you will be able to renew the Scrum certificate. Select the certificates you want to renew (the SEU is required and the payment amount will be shown below). Although you have 24 months (2 years) to meet the requirements of your SEU, you are allowed 90 days after the expiration date to meet your requirements. Why are my SEUs not being accepted for renewal? Find the SEUs whose status is marked “Unavailable”. Your SEU must have a start date during the renewal period (two years before the end of your certification). For example, if you have a certificate to end on 21 November 2019, SEU must have a start date between 21 November 2017 and 21 November 2019. Make sure your SEUs are not “missing”. This means that you have not filled in all redundant fields for review of your SEU submission. Note that the SEU in the red box is already used for a previous renewal and are no longer available for your current renewal fees. If you renew your certificate after the expiration date within a three-month grace period, please note that your SEU must always have a start date within the renewal period. They cannot exceed the current expiration date. Remember your SEUs must be acquired during the renewal period (two years before the valid expiration date of your certification). Write a blog about Scrum/Agile. Read a book about Scrum/Agile. Certainly, all these training/coaching options fit in one SEU category among the six(6) SEU categories. Collecting SEUs from different categories are encouraged by Scrum Alliance, however, it is not easy to do this for working professionals. Global / Regional Scrum gatherings are not always available or your calendar may not fit for these gathering dates. Also, these organizations may be pricey and possibly far from your area. Joining a local user group is a good option but unfortunately, a local user group may not be available on every location. Scrum Alliance offers several volunteering opportunities to engage with them for a variety of projects. A standard volunteering opportunity consists of candidate requirements, responsibilities, terms, composition, and available opportunities. By this perspective, it is like a job advertisement. A volunteering candidate may not fit for every opportunity. Even if the requirements and responsibilities are ok for the candidate, it is possible that several candidates apply for this opportunity. Hence you may not be selected for that opportunity. Webinars are mostly the one-hour length events and equal to 1 SEU. Thus searching a new webinar each time and collecting SEUs 1 by 1 will be very hard. About writing a blog or a book on Agile/Scrum; creating content is really hard work and the book or the blog may need to be published. Otherwise, it may be a problem to prove during SEU reviews. 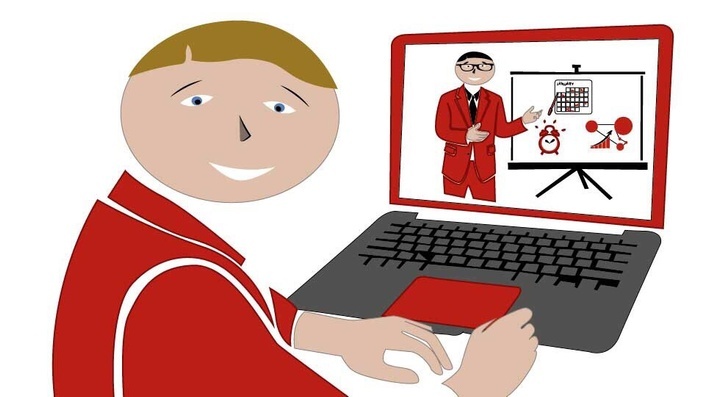 Especially the working professionals, they can not attend into any in-person SEU training options, so they can easily earn Scrum SEU points from Scrum SEU Online Training options. We always suggest students that the most affordable and convenient way to earn Scrum SEU points is attending an online Scrum SEU Training such as our 40+ Scrum SEU bundle. In the above section, training/coaching options are listed and drawbacks are shared. These drawbacks may block working professionals from collecting required SEUs and may create stress on them. Master of Project Academy offers the most affordable and convenient way to earn Scrum SEU points! 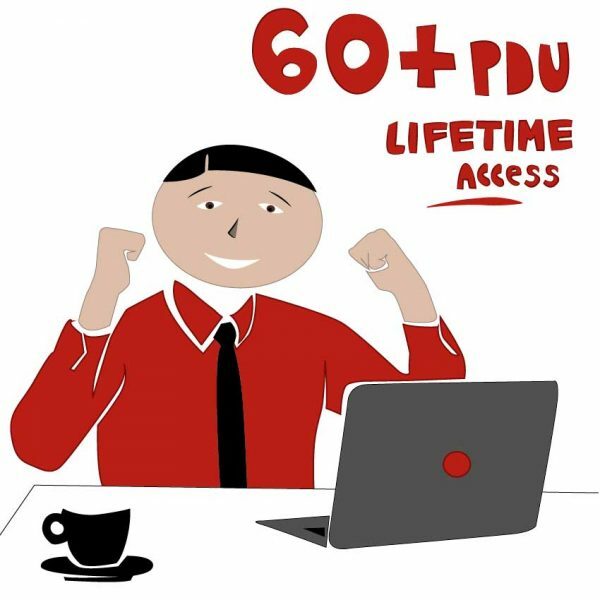 These 2 SEU bundles are approved by Scrum Alliance during the certificate renewal process. all the courses are online, self-paced and available from anywhere. take the package, attend classes, send your SEU and renew your certificate. 99.6% First Time Pass Rate 99.6%. You are in good hands when you take our courses. The support staff of the Master of Project Academy is ready to assist you in all areas and will answer any questions within 24 hours. You will receive a certificate of completion for each course of your completed package. 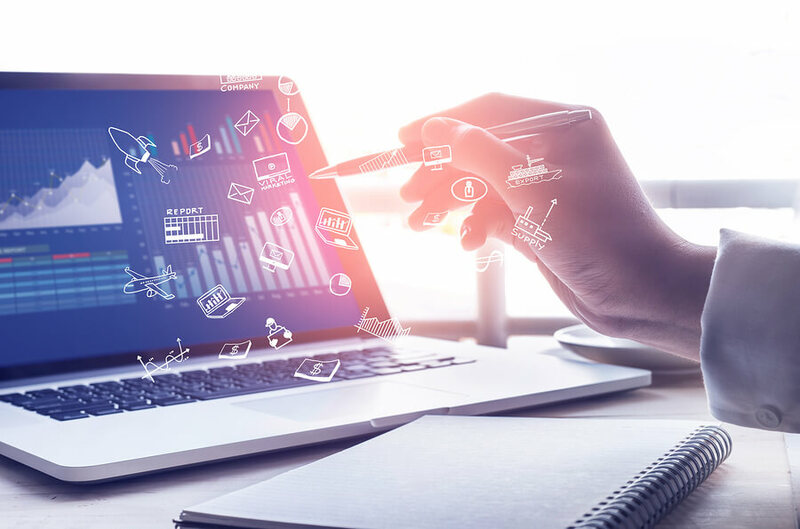 Unlike some online courses, you have lifetime access to course content in this package, allowing you to learn at your own pace and finish each course at any time. 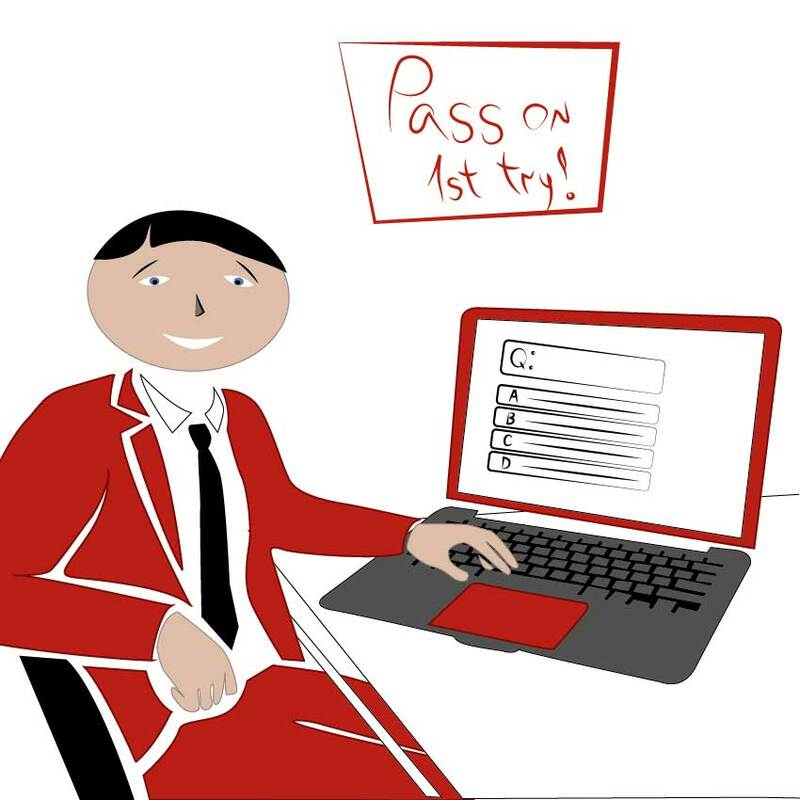 Master of Project Academy wants you to make sure you have the best chance to renew your certificate. We, therefore, offer a full money back guarantee. The Scrum Alliance expects that all Scrum certified professionals complete their SEUs every 2 years before renewal of their Scrum certificates. Once the renewal is missed, you may need to attend the Scrum Certification Exam again. However, if you purchase these SEU bundles, you will eliminate this stress. Follow these online courses for SEUs, submit them and renew your Scrum Alliance certificate. 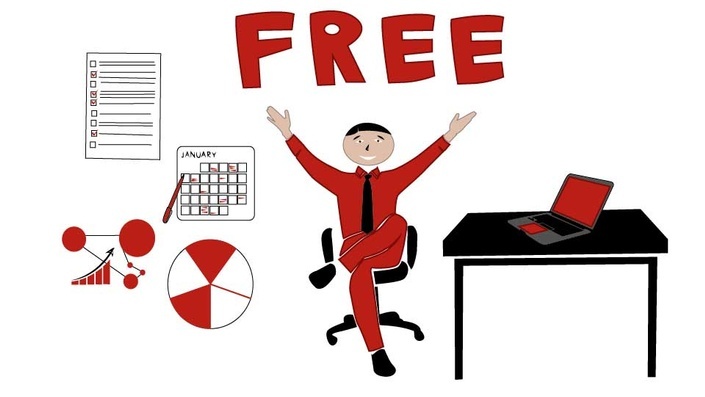 Additionally, there are free agile courses or free events (webinars, conferences, etc.) that you can attend and take SEUs. However, filling in all Scrum SEUs for FREE is especially difficult if you are a working professional. Of course, it is possible to earn one or two points with free resources, but not possible to meet all required SEUs. Therefore, the best way to complete Scrum SEUs is to enroll in online courses and easily obtain SEUs. Master of Project Academy offers a free online Scrum SEU tutorial that provides 1 SEU. 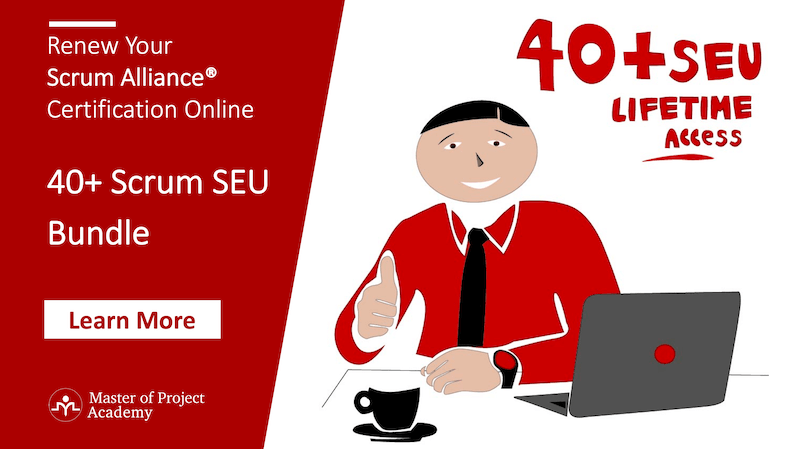 20+ or 40+ Scrum SEU online courses offer you the perfect way to meet your SEU needs at once! Kindly visit the 20+ Scrum SEU Online Course Bundle and 40+ Scrum SEU Online Course Bundle links and check the latest discounts. Stay Agile, Stay Scrum Certified!